Welcome to Unit 4, 23 Halcomb Street. This gorgeous piece of real estate is well loved and has been looked after for many years. Renovated from top to bottom and well thought out, the latest design maximises every square metre in both the main home and the fully lock up garage with study area. Positioned on the top level, the balcony takes in leafy outlooks and a calming breeze that sweeps through the open plan layout. As you step in through the front door you are welcomed by a spacious combined living and dining area which connects to the chic, family sized kitchen. Both bedrooms provide a fantastic amount of space and intelligent layout as does the updated bathroom. The home also wins in the location department being only a short stroll to Zillmere station, sports grounds and many other amenities. * Large kitchen with glass splashback and ample storage. area for a study or other hobbies. * Balcony large enough for a BBQ and outdoor dining. * Grassed yard with additional clothes line. * Small complex with low body corp.
Born and bred in Moreton Bay Region Brock & Dan have teamed up to shake up the industry and raise standards. Above and Beyond is not just a slogan but a reflection in all that we do. Far from your average millennial, Jak is a well-spoken and witty Sales Agent committed to achieving great results for all clients & proving himself in the industry to become one of the top local Estate Agents. Having lived and breathed the air of Excelsior Park for most of his life. 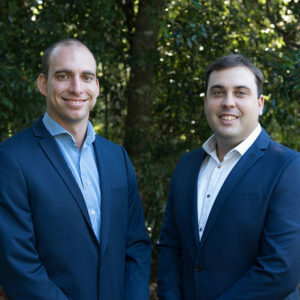 Jak has great local knowledge of the Caboolture Shire and surrounding suburbs, giving him that extra advantage when it comes to your biggest investment. Jak has extensively networked throughout the community and thoroughly enjoys the lifestyle the region has to offer, from business to leisure. Jak’s biggest belief is that only hard work deserves to be rewarded, so going Above and Beyond for each client will always be his first priority.